October brings reasons to celebrate. To celebrate festivals, the junction month between the summers and winters is just so perfect. If a vacation is at the back of your mind you and are thinking about where to go on a holiday in October in India, there are a host of places to choose from. Why not celebrate travelling in this auspicious month of the Hindu calendar and make it memorable? Starting from the hills in the north to the warm shores of the south, this month is certainly the best time in the year to travel. 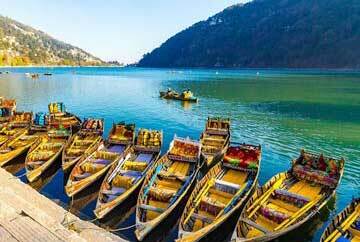 Whether it’s the romantic holiday you crave for, or the pristine beaches and lush green Himalayas coming across your mind, our bucket list of tourist places will satisfy every bit of the traveler in you. Interesting part about October is that it is the starting of the tourist season, so you can avail the last of the off season travel benefits. So hurry up and book any of our customized travel packages. There are several October holiday destinations scattered all across the country which promise to gift you with lovely memories and experiences. Browse through our packages and know about the best places to go on a holiday in October. From Pushkar in Rajasthan to Kaziranga National Park in Assam, there are several brilliantly crafted packages to choose from. Take a trip with your family, friends and loved ones with our October holiday packages which promise to provide you with the best sightseeing, adventure and exploration experience. This South Indian state is known as a tropical paradise and is one of the leading tourist destinations in the country. The region of Kerala runs down the Western Ghats and ends to the Arabian Sea covering the wide range of vegetations and landscape. 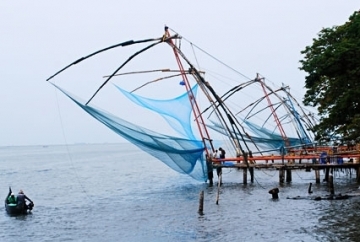 Kerala is famous for its backwaters, hills, spices, sandy beaches, Ayurvedic spas and more. The state of Tamil Nadu lies to the east and the state of Karnataka, lies to the North. Kerala is home to numerous religions, so you can find Hindu temples, mosques and churches. The ideal time to visit Kerala would be in the month of October, it is cool and pleasing after the showers of the monsoon. 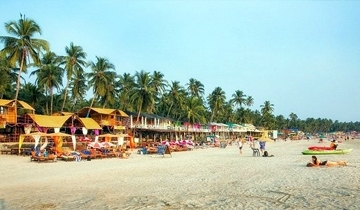 Boasting of sun-kissed beaches with white sands, glistering sea waves and more, the fun and frolic Goa is one of the most popular beach destinations of India. Your vacation here would not be an ordinary one as this lovely state has much to offer to tourists that flock it in crazy number, every year. Embedded with the Arabian Sea, this laid-back destinations offers a memorable vacation that is an ideal mix of serenity, sightseeing and adventure. The month of October is ideal to witness the experiences that this destination has to offer. You can partake in water sports, savor sumptuous local food, explore the churches and forts or simply just laze around in Goa. The Land of the Royalty, Rajasthan is one of the most vibrant states of India, frequented by national and foreign in crazy numbers. The onset of October month brings with itself a pleasant weather with cooler morning and nights when the temperatures get low. This splendid place has much to offer wonderful forts and palaces, varied exotic fauna, colorful markets filled with amazing goods, village visits, wholesome food, several great festivals and fairs, camel rides, desert safaris etc. Visit Rajasthan to get a sneak-peek into the life of the erstwhile Kings and Queens of the region. The backwater town of Alleppey in Kerala is one of the most romantic places in India. October is particularly pleasing for a visit. Houseboat cruise on the serene network of waters. Try out on the soothing Ayurveda therapies. Stop at the tourist delights of India’s Own Venice. Experience bliss in its truest form! October brings the whispers of winters to Darjeeling. 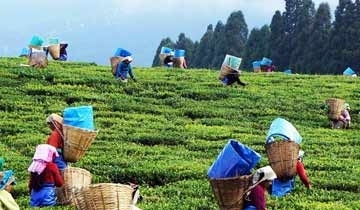 The Queen of Hills, Darjeeling enjoys the perfect weather in October therefore it is suitable to make travel plans. Capture the sight of the beautiful sunrise over the Mt Kanchenjunga and other snowcapped peaks. The aroma of tea from the gardens and estates is refreshing, you can taste as well as stock for the winters. 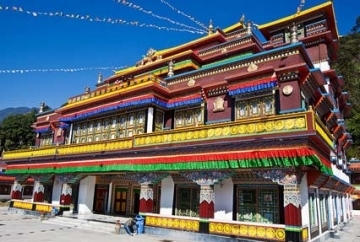 The town has perfect host to Buddhist monasteries, and the very rare Himalayan flora and fauna. Don't miss the golden opportunity of digging into the culinary delights. Do take up the joy ride on the Toy train. 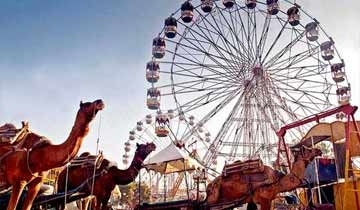 Pushkar is famous for its Camel Fair which takes place in October making it one of the best places to visit during this time. The city is also a pilgrimage because of the housing one of the few temples of Lord Brahma. 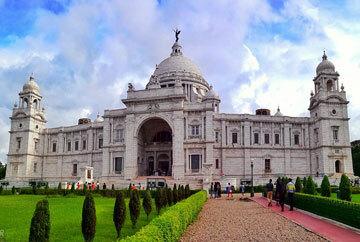 Enjoy the bequest of scenic architectural heritage along with a mythological history of the city. It is believed that visiting Pushkar at least once in a lifetime leads to salvation. Blessed with abundant natural beauty of snow-capped Himalayan peaks and lush meadows and valleys, Himachal Pradesh boasts of housing several picturesque hill stations that are frequented by tourists, all round the year. After rains, the month of October is the perfect time to visit the popular destinations for enjoying sightseeing, partaking in adventure activities, indulge in shopping, have a rendezvous with the wildlife and so on. Kullu-Manali, Shimla, Dalhousie, Dharamshala, Great Himalayan National Park, Chail and Kasauli are some of the famed destinations of Himachal. Enjoy activities like zip lining, rafting, mountain biking, mountain climbing, trekking, para-sailing and so on. 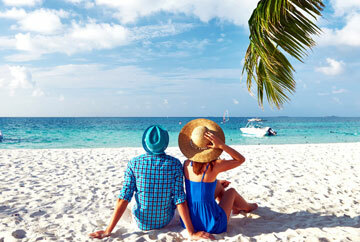 Andaman, the heavenly islands in India amid the Bay of Bengal is among the most favored holiday destinations in India. October is a perfect time to visit as the rains are over and winters are yet to arrive. The golden shores, cerulean waters, thrilling watersports, adventures, and the bliss of a tropical vacation lure visitors in huge numbers. 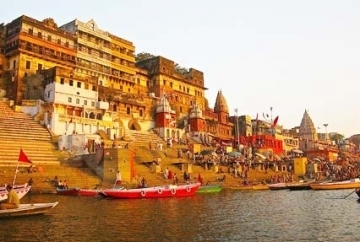 Varanasi is located along the banks of the Ganga in Uttar Pradesh, and is the holiest places for the Hindus, Bhuddists and the Jains. 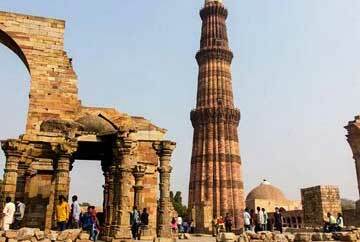 The place is filled with old temples, palaces, and fringing terraces (Ghats) along the Ganga. Hindu pilgrims come all the way from other states just to bathe in the holy water of Ganga. You can find yourself amidst the chaotic and vibrant markets and derive peace by cruising across the river in the morning hours . 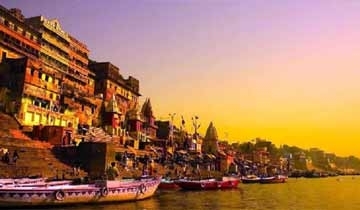 Varanasi has a very extreme climate, so starting from October and March is the best time to visit. Home to the ‘icon of love’, the Taj Mahal, Agra is a Mughal-inspired city settled on the banks of River Yamuna. The city takes pride in its unmatched architectural splendor that comprise of the three UNESCO World Heritage Sites, Taj Mahal, Agra Fort and Fatehpur Sikri. The rustic markets are equally delightful to explore. Located in the central state of Madhya Pradesh, India, Kanha National Park along and Tiger reserve is a one of the biggest National Park in the state. This famous park is a top destination among the wildlife enthusiasts, it is home to some exotic species and vegetations. The landscape of this region is noteworthy, one interesting feature of this park is a horseshoe shaped valley. 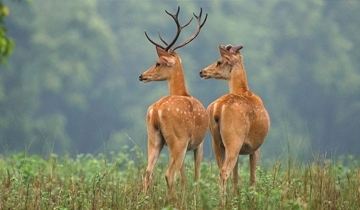 The tourists, visit in a large number to see the rare Barasingha (deer), cat tigers and more. The best time to visit Kanha National Park and a Tiger reserve is from October - June. The weather is much favorable for you to enjoy the safari and exploration at a full swing. 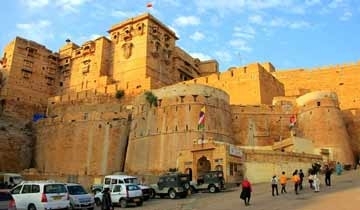 Also known as the "Golden City," is located in the state of Rajasthan, close to the Thar Desert. It is one of the major tourist destinations because it is rich in culture and heritage, also come under the World Heritage Site. Taking a ride on the camel in the sand dunes is an exciting experience.the city’s main highlight is the Jaisalmer Fort, also known as Sonar Qila (Golden Fort). Interesting part about this fort is that it is not empty, there are various shops, hotels and smaller buildings where people still live. 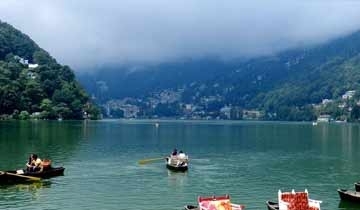 Nainital, the City Of Lakes is a one of the most charming hill stations in India. October is the perfect time to visit the hill town. The rainclouds are long gone and the snow is yet to come, it is perfectly blissful. The Naini lake waters are glistening in the sunshine. The picturesque sunsets are unforgettable. Named after Goddess Naina, visit the holy temple for blessings. 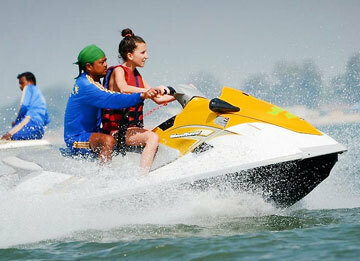 There are a lot of activities on offer like boating, trekking, horse-riding etc. Do not miss to capture the breathtaking views. Get to the high lookout to witness the magnificence of snowcapped Himalayan peaks. 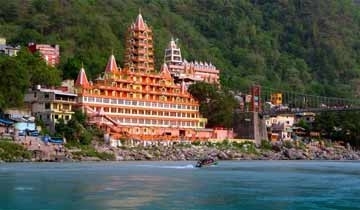 Settled on the banks of River Ganga at the foothills of the Himalayas, Rishikesh is a hub of adventure and bliss. The yoga capital in India has a number of blissful ashrams. For a dose of adventure, Rishikesh offers river rafting, camping, trekking, fox flying and many more. October is not too cold therefore a thrilling time to visit. 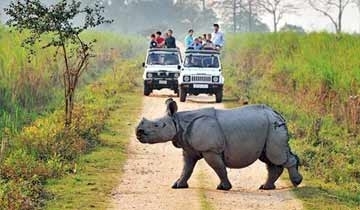 Abounding in the wildlife adventure, Kaziranga is one of the most popular national parks in India. It is home to the rare one-horned rhinoceros in Assam and many other indigenous species of the North East. Safari here is particularly exciting as you can explore the verdant greens on jeep as well as on elephant back. The heart of India, Madhya Pradesh enjoys a blissful weather in October. With the end of monsoon and the advent of winters in few days, the temperatures are at its best. What are you waiting for? Visit Madhya Pradesh. Enjoy a dose of adventure in the dangerous dense forest transformed into National Parks. Marvel at abandoned royal cities, architecture, historical empires, beautiful lakes, pre-historic caves, alluring UNESCO world heritage sites, etc. Pay respect to the holy destinations and get close to divine. Do not miss out on the scrumptious food. Before the peak season starts enjoy your own memorable holiday. 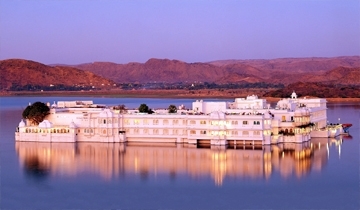 “City of Lakes’’ Udaipur is one of the most romantic cities in India. The royal province in Rajasthan is truly amazing to explore in October. The lakes are full from the monsoon, the palaces and gardens all freshly washed. The weather is at its best, the water a clear shade of blue and the Aravalis a dark shade of green. 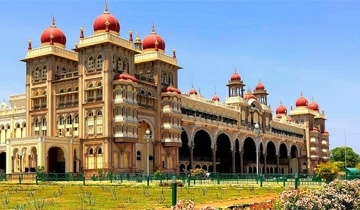 Mysore holds a very rich past and heritage within the state of Karnataka and is also called the “city of palaces”. The city has been built with great planning, the vibrant palaces and the busy markets are very alluring. The city is famous for premium silk productions, sandalwood, incense and more. Mysore is a must visit place, once you are travelling down South, you will be enchanted by the magnificent Mysore Palace and the striking fountain dance at the Brindavan Garden. October - February is the best time to visit Mysore; the weather becomes cool and pleasant. During October, the tourists can witness the festival of Dussehra being celebrated on a grand scale. 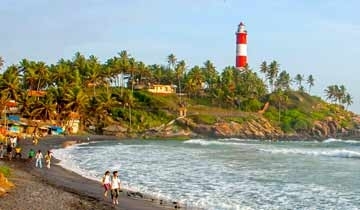 October means monsoon is gone and winter is coming and this month Kovalam shines in a unique glamour. 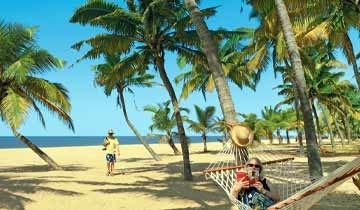 Golden shores, cerulean waters, and the charm of Kerala lure visitors from far corners of the globe. Spend the day soaking in sun, sand and surf. Do indulge in a refreshing Ayurvedic massage. Try watersports and snack on the scrumptious dishes. Placed on the western coast of India, Gujarat is known for its rich cultural heritage, temples, architecture, wildlife and temples. 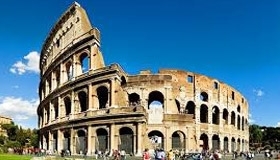 The place has something to offer to all kinds of tourists with varied interest. 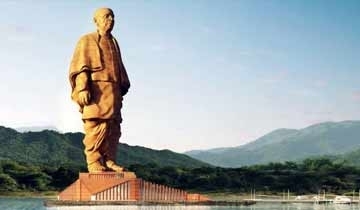 The onset of October brings pleasant weather in Gujarat that makes sightseeing easy. 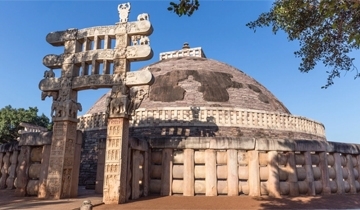 Visit attractions like Champaner Pavagarh Archaeological Park, a UNESCO World Heritage Site, Vadodara, Ahmedabad, Rann of Kutch, Dwarka and Saputara, etc. Gorge on sumptuous local cuisine, visit the traditional weaving villages, have a rendezvous with the wild, pay homage to the various religious sites and so on. Father of the Nation, Mahatama Gandhi was born here. 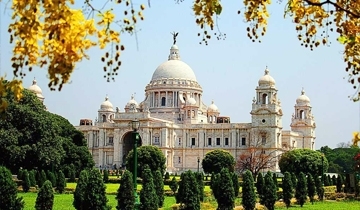 The former capital of the British Raj, Kolkata still dwells within the colonial architecture. The city is the perfect blend of old and modern in various fields, we witness people who are rich in culture and tradition along with ultra westernized ones; and the slum occupants as opposed to the ones who live the high life. The best part about this city is that the residents are happy and welcoming than in other parts of the country. The best time to visit Kolkata is during the Duheera festival, in October, the celebration is elaborate. Moreover the temperature decreases and makes the place pleasant. 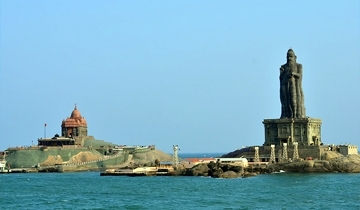 Former ‘Cape Camorin’, during the reign of the British is our present Kanyakumari. This small town is situated at the meeting point of the Bay of Bengal, Arabian Sea and the Indian ocean, in the southernmost part of India. The interesting feature of the place is that, you can witness a sunrise and a sunset in the same spot. The place is also known for Swami Vivekananda, one of the greatest philosophers in India who spent some part of his life here. In dedication to Vivekananda, there is a headstone erected along the shore. The best time to visit Kanyakumari is from October to February as you can enjoy all the sightseeing sites and the water activities. Moreover, it is this time the Cape festival takes place. Srinagar district is situated inside of the Kashmir valley, along the banks of the Jhelum River. It is the summer capital of Jammu and Kashmir, interestingly the capital changes to the Jammu city during the winter time. 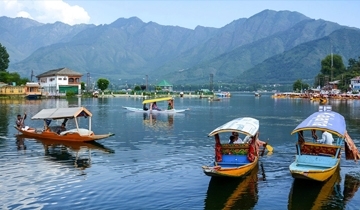 Srinagar is known for its houseboats, gardens the lakes and it has many tourist attraction sites. It is the most romantic place in the country and is a very common honeymoon destination. The traditional Kashmiri handicrafts and the dry fruits are famous and found in plenty. You can visit Srinager throughout the year, but October is highly recommended time, for the climate is much favorable and you can enjoy your sightseeing tour. The North- Western part of India is the spiritual home for the Sikh religion, Punjab. 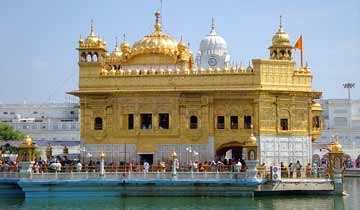 One of the major pilgrim center, the Golden Temple is in Amritsar, that attracts a huge number of visitors. The temple is the main feature of the city, the air of tranquility and peace revolves around the area. However the other parts of the city are chaotic, especially the market places. 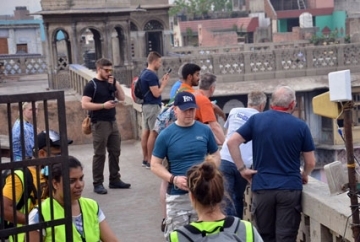 October to March, is fresh and pleasant , which makes it the best time for travelling and exploring tourist places and pilgrimage centers in Amritsar. Europe is a traveler’s paradise and with the arrival of October, give no second thoughts to your travel plans. Visiting Europe in October is just perfect. The costs of travel are definitely easy on the pocket. Across the continent interesting festivals are being celebrated with amazing music, food and drink. Pepper festival in France, Oktoberfest in Germany, film festivals in Spain, etc. The Mediterranean destinations are perfect. Turkey, Italy and Spain, Cyprus, Crete and Greek islands are ideal to bask in the last warm sunshine of the season. France, Netherlands, UK and Scandinavia are equally fascinating in the fall month. As the calendar turns to October, USA, the United States of America is celebrating autumn. Winter is only few months away and the pleasant weather inspires you go travelling. Travel plans can be made for all across the USA, from New England to the Pacific Northwest. The sun-kissed beaches of Florida offer the perfect balmy holidays of sun, sea and surf. The national parks are still accessible for camping. 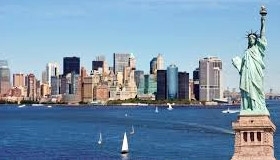 The cities colored in the charm of fall are equally resplendent. The Halloween celebrations also create the perfect getaway. Pack your bags and go traveling. 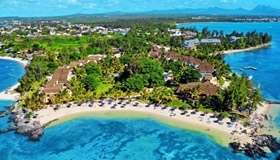 October marks the beginning of summer for Mauritius. What better reason than to travel now? Bask in the warm sunshine as birds, flowers and nature wakes up to the call of summer. Play in the soft sands, Dip in the Indian Ocean. Marvel at the mesmerizing sunset. Adventures sports offer the right dose of thrill. The underwater world enthrall the hearts of visitors. Anglers will be delighted at the big game fishing available Indulge in the perfect tropical holiday. There are numerous luxury resorts that pamper you with breathtaking views, modern luxuries, delicious food & drinks and entertainment. The enigmatic land of Egypt is spread on desert landscape, therefore the best time to visit is in the month of equable temperatures. In October, Egypt is pleasant. As the summer has ended and winter not yet arrived, the month of October enjoys a lovely weather. 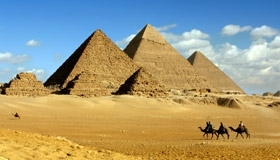 Visitors can enjoy iconic sights like the Pyramids of Giza, the Temples of Luxor and Abu Simbel. Do not miss a Nile cruise and a stay in the resorts by the Red Sea. As this is not the peak season therefore visitors can make travel plans without worrying about any burden on the pocket. October marks the end of summer for Indonesia. The rains are few days away and the weather is perfect. Visitors can go island hopping to Bali, Java, Sumatra, Kalimantan or Sulawesi. Being the end of peak season, travelers get pretty good deals. Explore Indonesia’s rich collection of temples which are quieter during this month of the year. The scenery is beautiful all around. Venture into the highlands as the temperatures are cooler, and definitely a soothing change from the humid conditions on the coast. Try out trekking to one of the country’s volcanoes before they close for the season.